Arsenal defender tries to shuffle sheepishly out of shot. 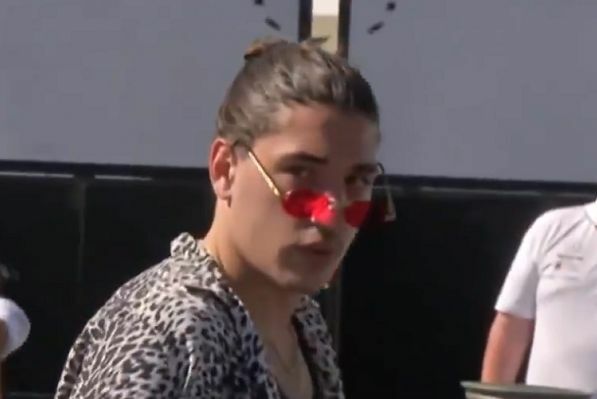 Sky’s Formula One pit-lane reporter Ted Kravitz got distracted mid-broadcast by “hipsters” at the Canadian Grand Prix, focusing on Arsenal’s Héctor Bellerín. Evidently not recognising the Gunners defender, Kravitz fills some air time describing his “cool” appearance. Hipsters around here, with shaved hair and shorts and cool sort of rose-coloured glasses. He looks quite cool, that guy in the singlet, doesn’t he? Right, sorry, I got distracted by the hipsters.